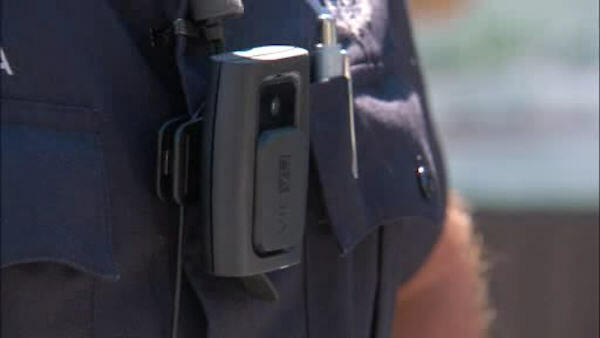 NEW YORK CITY -- The New York Police Department is set to deploy the first body cameras to officers after resolving some of the thorniest issues on when to switch on the camera, how long to keep the tape and when to tell the public they're being recorded. The NYPD's deployment had been on hold following a lengthy process to choose the camera company and storage and questions on how they would work. The department sought public comment through a questionnaire and worked with New York University's Policing Project to analyze the results. Some 25,000 people, plus 5,000 police officers, responded anonymously, and NYPD officials made changes based on the outcome. Public response was disproportionately white relative to the city's population, police officials acknowledged. But the report found that on many key questions, there was little difference in response by race. "I think this shows that the public can have a voice in policing," said Barry Friedman of NYU's Policing Project. "New Yorkers ... really want to be told they're being recorded," assistant deputy commissioner Nancy Hoppock said. "And officers really don't want to tell them." Police won't record every interaction - even though the public would prefer it - because there's not enough storage capability and it would bump up against privacy laws and could stop witnesses from coming forward. According to the proposal, which much be approved by a federal monitor, officers will turn on their cameras for arrests, summonses, vehicle stops, interactions with crime suspects, interactions with a mentally unstable person who is violent, or when using force. They record property searches. They won't record demonstrations unless there is a crime or other enforcement. The tapes will be kept for a year and the footage released publicly only in certain cases. "Making a call to turn on a camera in the heat of the moment is much more burdensome for officers," said attorney Darius Charney. "Just turning on the camera at the beginning is a much more straightforward approach."